The SK-5 Mountain Climber is sized for compacted areas but offers lots of adventure. The tower has a steering wheel and telescope, a 10' wave slide and is covered with a 5'x10' canvas roof to provide maximum shade while your children play. 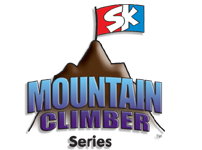 The SK-5 Mountain Climber offers lots of climbing adventure with a flat step ladder complete with hand rail, a 5' rock wall and a cargo net. 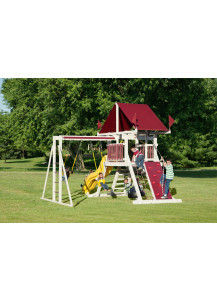 No play set is complete without swings and the SK-5 comes with a belt swing, 3 rope tire swing and a trapeze. With a great swing set and a little imagination, any child can conquer the world. 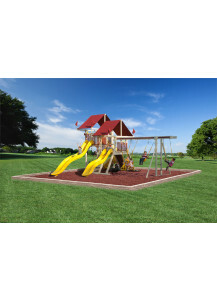 The SK-10 Mountain Climber offers lots of climbing fun without taking up the entire back yard. Scale the rock wall, climb the cargo net or run up the flat step ladder with hand rail to the top of the tower where you will find a steering wheel and telescope on the 5'x5' deck covered with a large canvas roof. Slide down the 10' avalanche slide to monkey around on the monkey bars, get silly on the three rope tire swing or swing through the air on the trapeze. Smaller children will enjoy the rubber infant swing and there is a belt swing to for big kid. The SK-10 Mountain Climber if perfect for an active growing family. 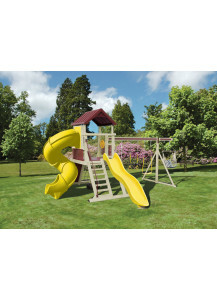 The SK-18 Turbo Mountain Climber is for children who love to climb, swing, and slide. The tower can be reached with the flat step ladder with hand rail, by cargo net, or by rock wall. 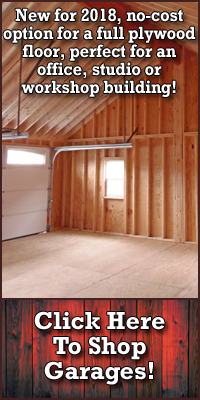 The 5'5' deck covered with a gabled roof offers lots of fun play area and even includes a ship's wheel. The fun is just beginning as children decide if they want to use the turbo twister slide or the 10' avalanche slide. The choices just keep coming as the SK-18 Turbo Mountain Climber offers five swing options for all ages. There is a rubber infant swing, a trapeze, three rope tire swing, belt swing and a hammock swing to relax in at the end of a busy day. 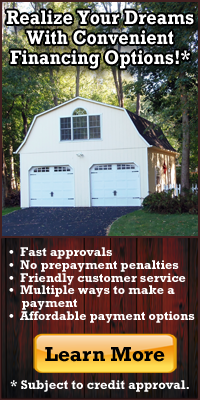 There's no easier way to have a fun filled, happy, healthy day. 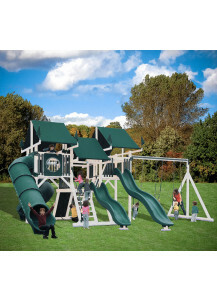 The SK-30 Mega Mountain Climber is one of the most popular play sets. No Mountain Climber set would be complete with out lots of climbing options and the SK-30 Mega Mountain Climber is no exception. Choose to climb on the monkey bars, the flat step ladder with hand rail, 5' rock wall, or the cargo net to the two towers with 5'x10' canvas roofs that hold a steering wheel and telescope. With three super fast slides to choose from, children won't stay still for long. Six swing options will keep those legs moving as they decide to swing on the rubber infant swing, belt swing, plastic glider, hammock swing, 3 rope tire swing or the trapeze. With the SK-30 Mega Mountain Climber, the grins and giggles just come naturally. Like the mountains at Rocky Mountain National Park in Colorado, the SK-40 Rocky Mountain Climber play system is known for its grand beauty and its challenges. This play set has three different tower heights reached by rock wall, cargo net, or flat step ladder and include a ship's wheel, telescope, binoculars, and a bubble panel. This set also boasts three of our fastest slides and plus a free standing picnic table, three rope tire swing, trapeze, rubber infant swing and two belt swings. The SK-40 is ideal for children that want to take mountain climbing to the extreme. Extreme adventure adds up to extraordinary fun.